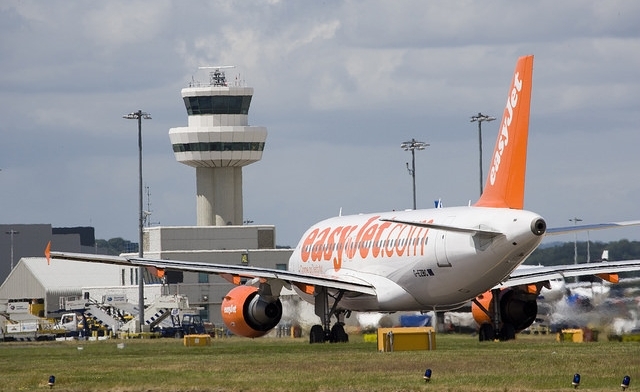 ATC tower services at London’s Gatwick Airport are being provided by a subsidiary company of German air navigation service provider DFS Deutsche Flugsicherung following an official transfer of responsibility on March 1. The wholly owned DFS subsidiary—Air Navigation Solutions (ANS)—replaces UK NATS as tower services provider at the country’s second-largest airport. ANS is responsible for air traffic and approach services below 4,000 feet around the airport, which is located 28 miles south of London. NATS continues to provide approach control guidance to Gatwick from its Swanwick area control center. The German government owns 100 percent of DFS. NATS is structured as a public-private partnership; the UK government owns 49 percent, airlines 42 percent, employees 5 percent and UK airport operator LHR Airports 4 percent. Gatwick’s management invited tenders for the tower and engineering services contract in late 2013 and announced the award to DFS in July 2014, calling the German provider’s proposal “superior to submissions from all other contenders.” The contract term was for 10 years; the expectation at the time was that ANS would begin providing services in October 2015. However, NATS challenged the tender process through the UK High Court of Justice and won an injunction in October 2014 that suspended the contract award. The parties later settled the dispute before the matter went to trial, freeing Gatwick to conclude the contract. ANS managing director Werner Spier in a statement said the transition “resulted in a smooth and seamless handover of services.” Spier formerly managed the Bremen area control center in Germany.